On February 23th 2018, Accurate Perforating & Accurate Metal Fabricating received certifications of conformity to ISO 9001:2015 from American Systems Registrar, LLC (ASR) of Wyoming, Mich. The International Organization for Standardization (ISO)’s recognized management standard confirms that Accurate’s perforating and metal fabricating facilities have established a quality management system that is in conformance with the International Quality System Standard for the processing of perforated metal and precision fabricated sheet metal. How Accurate Perforating collaborated with several other parties to bring an aspiring student’s design concepts to life. 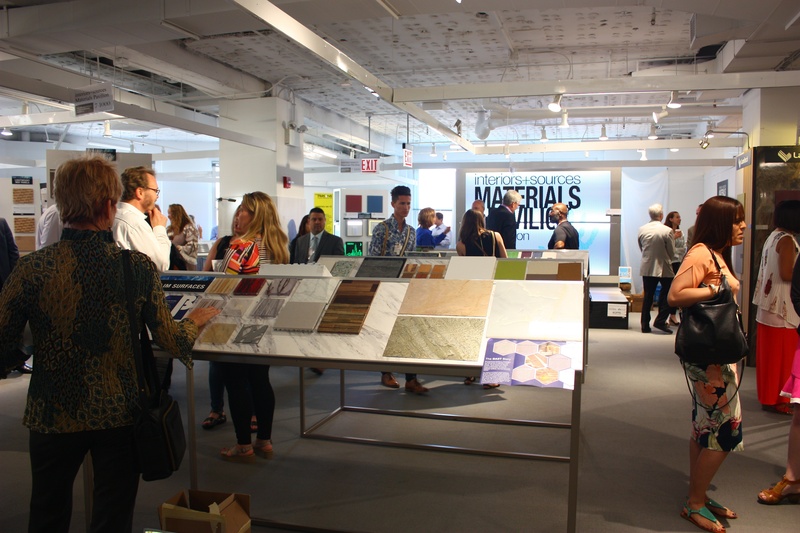 When Savanah began to develop her concept for the contest, she considered the volume of people that attend NeoCon and the issues that can occur with overcrowding of spaces. Colestock explained, “My main focus was really good circulation and to offer a space that is open and airy”. The layout features meeting spaces, via tall circular tables to facilitate discussions about the materials in the pavilion, and provide an area of rest while navigating the massive show. Want to save time, money and the environment? Want to receive important order information automatically? Or support our Green Initiative by reducing the use of printed materials and carbon footprint through eliminating transportation of the documents? Well, now you can. Through enhanced electronic documentation from Accurate Metal Fabricating, your company can receive all of the following documents electronically and directly to the appropriate contact within your organization. Please read our new case study which details AMF’s success in working with a customer to produce a high-quality, cost-effective fabricated metal cabinet for a paper shredder. On February 5th, Accurate Perforating & Accurate Metal Fabricating received certifications of conformity to ISO 9001:2008 from American Systems Registrar, LLC (ASR) of Wyoming, Mich. The International Organization for Standardization (ISO)’s recognized management standard confirms that Accurate’s perforating and metal fabricating facilities have established a quality management system that is in conformance with the International Quality System Standard for the processing of perforated metal and precision fabricated sheet metal. Prime-time television frequently uses perforated metal to enhance the look and feel of the production sets. Recently, Accurate Perforating was asked to design and manufacture the perforated panels for NBC’s hit show American Ninja Warrior (NBC, Monday Nights, 8 PM CDT). “The perforated metal has really become part of the language of our show,” said Michael, Art Director for the show’s production company. “It is really the best option, in my opinion, to add a bit of class to the finishing of our truss structure set. It still has somewhat of an urban/industrial feel, but is clean lined in its presentation to the viewer”. L earn more about this project as well as view pictures of the finished product. Perforated metal is frequently used to influence the look and form of space. The material is so versatile; it can create separation, enhance lighting, and give an environment a modern, industrial feel all at the same time. It’s the go-to-material when designers want to enhance the appearance of a setting. Case in point, recently Accurate Perforating was asked to work with a television production company to design and manufacture the perforated panels and components for NBC’s hit show American Ninja Warrior (NBC, Monday Nights, 8 PM CDT).